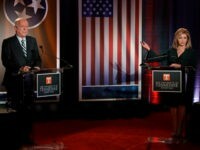 The final two polls of the Tennessee Senate race give Republican nominee Rep. Marsha Blackburn (R-TN-07) leads of eight points and nine points over Democrat nominee Phil Bredesen, an average of eight and a half points. 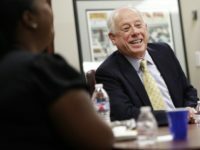 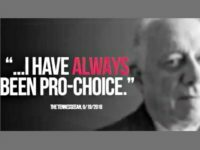 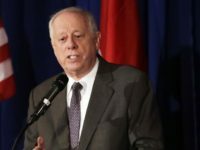 Phil Bredesen says the “core” of his party isn’t focused on creating economic opportunities for the working class. 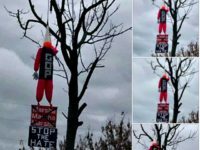 Tennessee voters were outraged when they discovered a dummy wearing a GOP shirt, a dunce cap and a sign with U.S. Senate candidate Rep. Marsha Blackburn’s (R-TN) name crossed out hanging from a tree. 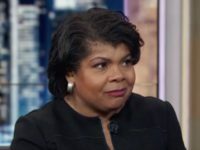 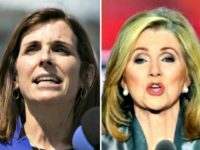 Facebook told Breitbart News in an exclusive statement on Thursday that they have restored a Susan B. Anthony List ad promoting Rep. Marsha Blackburn (R-TN), apologizing and contending that the ad did not violate their advertising policy. 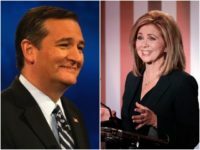 Tennessee Republican Senate candidate Rep. Marsha Blackburn (R-TN) slammed Facebook on Thursday for censoring the Susan B. Anthony List’s pro-life ad. 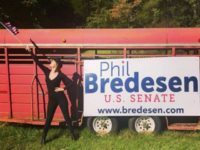 Half a dozen angry liberal protesters attempted to disrupt a Rep. Marsha Blackburn (R-TN-07) campaign rally Sunday afternoon where Sen. Lindsey Graham (R-SC) was the featured speaker. 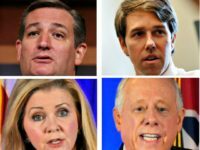 Rep. Marsha Blackburn (R-TN) told Breitbart News in an exclusive statement on Thursday that she will “stop illegal immigration,” while Democrat Phil Bredesen wants illegal aliens to support his campaign. 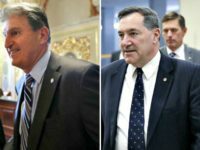 Brett Kavanaugh’s confirmation hearings have made voters more likely to vote for Democrats than Republicans in the 2018 midterm election, according to a USA Today/Suffolk University poll released on Wednesday. 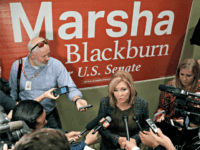 Rep. Marsha Blackburn (R-TN) and former Gov. 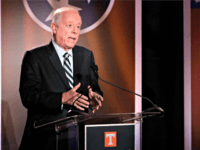 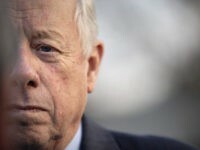 Phil Bredesen (D-TN) will debate for the second time in their race to fill a forthcoming Senate seat vacancy following Sen. Bob Corker’s (R-TN) planned retirement.